New Kirkton Model is NOW Open! Walhaven at Kingstowne is the Perfect Place to enjoy the time of your life. This brand new 55+ community features modern 3-level townhomes with private elevators will appeal to the most discerning, design savvy homebuyers who know exactly what they want, where they want it. Bright, spacious, and designed for entertaining, to host holiday gatherings or spontaneous family dinners with nearby children and grandchildren. And with an emphasis on easy living and low-maintenance design features. 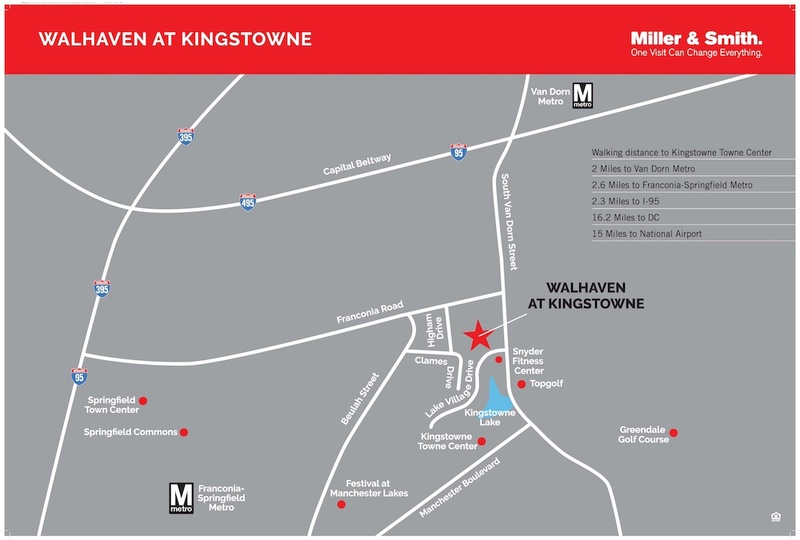 Walhaven is located just moments to shops, restaurants, and a world of amenities in Kingstowne. Visit our walhavenkingstowne.com website for additional information and join our VIP List to receive updates and special invitations. Keep me in the loop regarding updates for Deck_Kirkton.